In May, the Ringling Bros. and Barnum & Bailey Circus (Ringling) ended a nearly 150-year tradition as the show, featuring live animal acts, shuttered its doors forever. While news outlets around the world covered the show’s elephants arriving at a Florida sanctuary for retirement, a much different fate is apparently in store for the big cats that performed with the show. According to CBS, on May 26, 2017, the U.S. Fish and Wildlife Service published notice that Feld Entertainment, the multi-billion-dollar parent corporation of the recently closed Ringling Bros. and Barnum & Bailey Circus, is applying for an Endangered Species Act permit to export eight tigers back to Zirkus Crone in Germany, which has recently had its own share of abuse allegations. Feld’s application indicates it intends to export six lions and a leopard as well. The Animal Legal Defense Fund (ALDF) opposes the move, and told the Dodo that the animals are being thrown into a pay-to-play system where their best interests may not be taken into consideration. Instead, the decision could be rubber-stamped by the government agency if a public uproar doesn’t ensue. For years, the focal point of criticism against Ringling has centered on treatment of the show’s elephants, with reports of brutally inhumane training techniques, suspicious animal deaths, and dangerous repercussions from unnatural living environments plaguing the show. 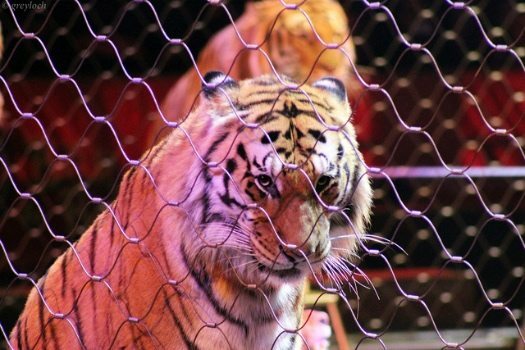 However, a report last year noted that the big cats that were part of the circus faced an equally hellish existence, and the ALDF doesn’t want that life to continue abroad for the lions, tigers, and leopard. A set of nine bills could eviscerate the Endangered Species Act, environmental nonprofit advocates warn.